Donor breast milk is not new! Early in the 20th century, collecting and storing breast milk (called “milk banking”) grew with increased use of donor milk for ill and premature infants. In 1985, the Human Milk Banking Association of North America (HMBANA) was established, and the interest in donor milk banks continues to grow. Many families are requesting donor milk rather than using formula, particularly when they have an ill or premature infant. Donor milk provides a temporary solution until the mother can produce enough milk for her baby. A mother’s temporary inability to provide her own milk for her infant. 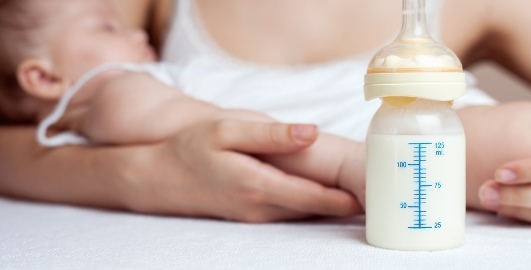 An increasing number of mothers are sharing donor milk via social media. This practice concerns health care professionals because unregulated sharing increases the risk of spreading infection and viruses. We recommend against casual milk sharing and advise using only donor milk that has been pasteurized from a certified milk bank. The use of donor milk offers the best nutrition, but we have to make sure it is provided safely. Human Milk Banking Association of North America. hmbana.org.